We are so happy to be able to assist you with one of the most important decisions of your life-a very expensive one, in deed! My company is a small boutique company that custom designs specific programs to help you buy and/or sell your home or investment property. For buyers, you will be given a solid foundation of information backed by research to help you make your decision about buying your home or investment from the loan stage to selection of the home to closing. For selling, we design a proven marketing program from the "right" pricing to sell, to staging, to e-marketing and more. I believe in the Expert System and that is why we have the Raley Team. These are all experts in their areas. They are here to help us have a productive and positive experience-one that will keep you coming back and referring me to others who need this expert help, too. EDUCATION + EXPERIENCE = EXPERTISE AND EXCELLENCE! THAT IS THE RALEY TEAM! Joan H. Raley, REALTOR®, is the owner/broker of her company. 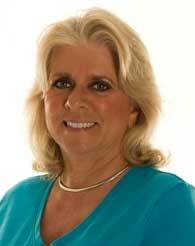 She started in real estate in 1978 and has been a broker since 1981. She has many special designations showing upper level education and expertise. These are: CRS, CDPE, SFR, e-PRO, GRI, ABR, CHMS. She has a B.S. in Education. She was the founding member of the Energy and Synergy Group of Real Estate Professionals. Joan is a member of the Tallahassee/Leon County Chamber of Commerce, the Tallahassee Visitors Bureau and the Better Business Bureau. She is also on the Board of Directors for the Tallahassee Youth Orchestras. She is a notary republic. Judith "Booth" Riera is our Buyer Broker Agent. She is a licensed REALTOR® and owner/broker of Booth Riera Realty. 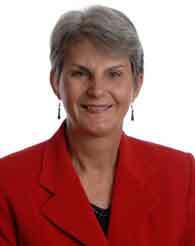 She started in the real estate business in 1971 and attained her broker license in 1972. She works with our buyers and hosts our Open Houses. She has many years of experience working with buyers and sellers and has a lot of needed expertise to help our clients. 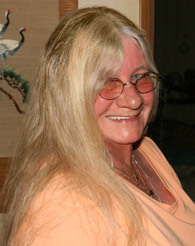 Cornelia Neuser is our www.JoanRaley.com web site designer! She is the one responsible for all the design, data posting and maintaining on our fantastic Website! We have been working together for about 15 years. She is fantastic because she has the expertise to create and maintain our custom web site. She has designed two different ones for me. Kudos to Cornelia!